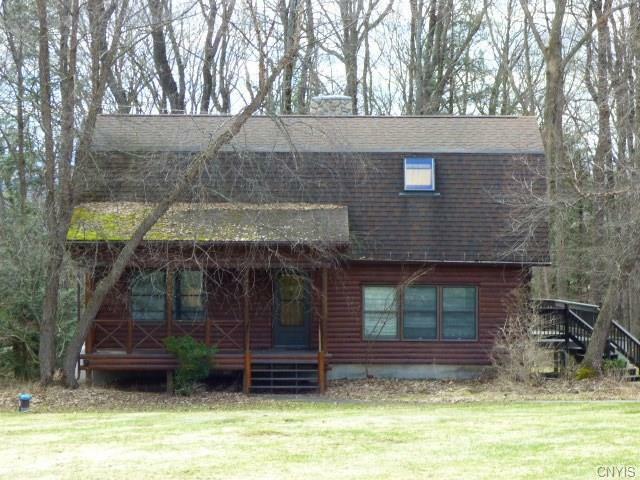 Wonderful Log Home w/front porch and back deck sits in front of pretty & private woods. Open loft/study area above looks down on LR w/lots of bookshelves, woodstove in central location, 3 BR, 2B and large finished family room walk out & utility/laundry room in basement - +/- 2100 sq. ft of charming living space- 2car detached log garage & shop has great apartment above - perfect for B & B, in-law or rental, it offers 2 BR, large LR/DR/w kitchen and showered bath, back deck w/outside and inside access!